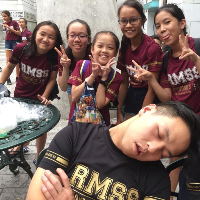 Trenten has been with RMSS Punggol since Sep 2018, two months now. 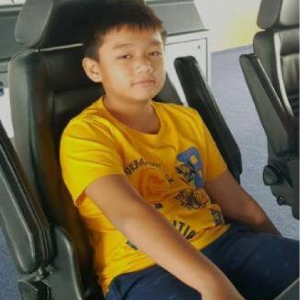 To reinforce Math concepts through regular practices during lessons and homework, he is able to learn more effectively and make a good improvement in his results within a short period of time, gotten 75% for his SA2 from SA1 60% and CA2 66%. Teacher Aaron is a nice & patient tutor. He ensures that my boy completes his Math homework on time & places emphasis on discipline which Trenten has benefited on this aspect. He has also extended extra lessons for the students to better prepare them for their exams. Thank you Teacher Aaron for the hard work and patience given to my child. We are honoured to write this testimonial letter for Mr. Franklin Neo of Raymond's Math & Science Studio. My son, Clivanne Kwa has been attending Primary 6 tuition class with Mr. Franklin for this current academic year 2018 in Raymond’s Math & Science Studio. Before the enrolment back in Mar’18, he was especially weak in Maths and Science. But under the close coaching and mentorship of Mr. Franklin, we have seen a significant improvement in my child’s understanding and grades for these 2 subjects. Mr. Franklin is not only an expert in teaching, he is also very caring and passionate towards his students. Mr. Franklin’s teaching methods and strategies are very effective in imparting knowledge and inspiring his students to achieve excellence in the subjects. His innovative ideas help to draw out the strengths of his students. I still remember when my son came home and said to us that Mr. Neo taught him “magic” in Maths problem solving, which was also the time he started to draw interest in his teachings and mastered problem solving skills. Mr. Franklin uses innovative ideas like his own “magic”, especially in identifying strengths and potential problems, which helps his students holistically. Mr. Franklin strives to create a fun, warm, and inviting classroom atmosphere. His sincerity and support for each individual child has been the main reason for his students’ success in achieving good grades. I am really pleased with Mr. Franklin’s professionalism in undertaking his job, both academically and nurturing good learning attitude for my son. We are very pleased with Mr. Franklin’s dedication. Mr. Franklin’s friendly and frequent updating of students’ progress also helps in establishing an open communication and rapport with parents. To sum up, no words can describe the heartfelt gratitude we have for Mr. Franklin, and we can only end this letter by saying a big THANK YOU TO MR. FRANKLIN NEO! From that day onwards, Kieran completes all his homework before every lesson and his Maths has improved. He then requested to join Mr Neo’s Science class as well because he enjoys lessons conducted by Mr Neo. 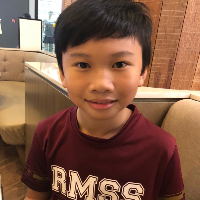 Mr Neo changed Kieran’s attitude towards learning and motivated him to better himself all the time which we are sure will benefit him in his PSLE preparation. I would like to thank him for the incredible effort he puts into his students and most of all the discipline he instilled in them. Thank you Franklin! Mrs Cheong is a very passionate teacher who really looks out for all her students. She throughly prepares for each lesson, pointing out questions and concepts that may be tested, and gives us tips on exam strategy and answering techniques. She always gives us the opportunity to clarify our doubts and she patiently answers our questions and re-teaches us concepts we may not understand. Mrs Cheong also gives up her spare time to give us consultations and look through our exam papers so she can identify our individual problems and help us improve. In addition to caring about our grades, Mrs Cheong also cares about our health. She always advises us take good care of ourselves and to make sure we eat before lesson. Overall, it is clear that Mrs Cheong really loves economics and she really loves her students. She gives her 100% to all her students and we love her for everything she has done! Despite being with Mr Khoo for only half a year, Mr Khoo has helped me improve my Chemistry significantly. Before joining his class, I remember struggling to understand several concepts in Chemistry and I have never scored B3 and above for my major examinations before. It was until joining Mr Khoo in around a month before my Mid Year exams where I start understanding the subject. Thanks to Mr Khoo's clear explanations, I was able to finally grasp the concept and this eventually helped me get my very first A1 in Chemistry for my Mid Year Examinations. In addition, I also managed to consistently be top in class for both Mid years and Prelim exams. Mr Khoo also cares for his students constantly, never failing to ask "are you ok?" to us whenever we look tired. I enjoyed mr Ong's lessons in RMSS as he is not like the other Teachers. He teaches with enthusiasm and always make sure that I can keep up with my work. He treats us to food and gives us riddles after our exams. After attending mr Ong's lessons in P4, I topped my class for math. My grades have improved tremendously and I have been getting straight a's for math ever since. Mr Ong has changed my perception of tuition classes of being mundane and stressful. I look forward to his lessons every week. He is inspiring and cares for every student. Mr Ong is my Favourite tuition teacher.... my only tuition teacher. 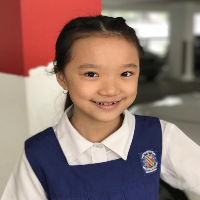 I would like to highlight one of your tutors—Mr Victor Chew who has taught my P6 Daughter, Camelyn Math from May - Oct 2018. My Daughter is a high achiever in her Math. She got a high A in SA2 Math in P5 (2017). However, in SA1 2018, she dropped drastically to 66/100. Then, she was in another Tuition Center. She was v discouraged & lost interest in Math. Her classmate then recommended her to your center to try out. 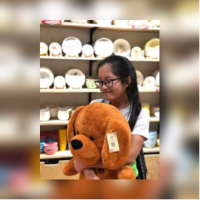 I was worried as this was her PSLE year. I also explained to Mr Chew that Camelyn is going through some emotional upheaval as her parents are going through divorce. 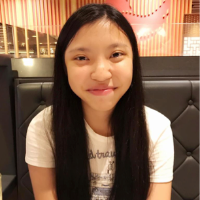 Mr Chew was v understanding, encouraging & told me that he will look out for Camelyn & try to encourage her so that she can pick up in her Mah result. 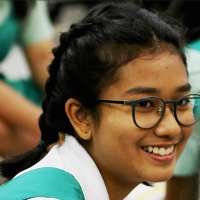 Within a short 1st Mth, Camelyn picked up interest in Math again & was highly motivated under Mr Chew’s guidance! She did her work diligently & looked fwd to attending Mr Chew’s classses. I would like to compliment Mr Chew for going that extra mile for Camelyn. 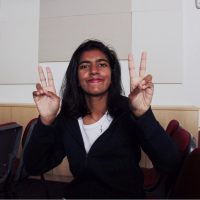 In her Prelim, she jumped from 66/100 to an A* in Math! Camelyn & I were so delighted & grateful to Mr Chew:). He is really a v good tutor who believes in all his students under his charge. He taught & explained the concepts v well too; making it easy for Camelyn to understand. 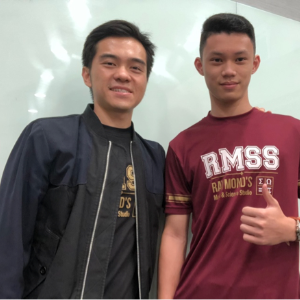 Since Mr Teo has started teaching at RMSS, he has been an extremely dedicated and committed teacher who has helped my chemistry grades to improve vastly. Regardless of what time of the day it is, he always tries his best to answer my questions to make sure that I have a full understanding of all chem concepts, which I really appreciate. No matter what he does, he looks out for the welfare of his students first and is overall a really great teacher! master our concepts such that we know our content inside out. With all these help that I’ve received from him, I managed to jump from a b4 at MYEs to an a1 at prelims, which is something that wouldn’t have been possible without his concise teaching. His tips and tricks made learning science more enjoyable and I now walk into the exam hall with full confidence. So to anyone out there who’s looking for a tutor who explains concepts clearly in a simplified manner, Mr Ang is the one! Thank you Mr Ang, without your guidance I wouldn’t have made such a huge progress in a matter of months. 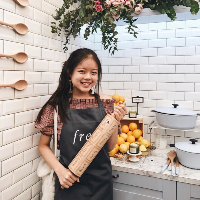 quite nice and willing to help her. 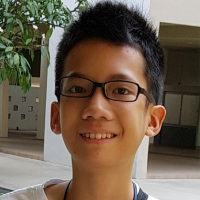 Mr Eugene Tan is an outstanding tutor. 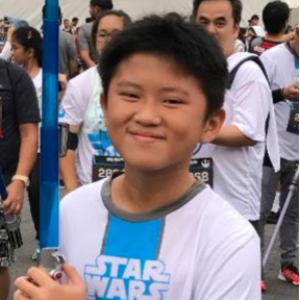 I am extremely grateful to have him guide my son, Rex Ho, in his Science studies from P5 to P6. Eugene is a teacher who not only excels at teaching his students, he cares about them and knows them well. I appreciate that he is very strict with his students as it instills discipline in them to take pride in their work and hand in a job done well. Eugene is very affable and takes time to listen to parents. I will tell him about my concerns on my child and his learning. Eugene not only listens well, he takes note and updates me as well. 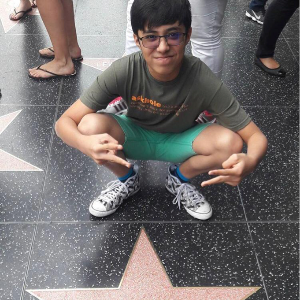 In time, I see my son's results improve, his thirst for knowledge increases, and his confidence increasing when he asks more questions in class. I like that Eugene, as a young, male teacher full of energy, laughter and fun, is also able to be a positive role model to my son. Eugene shares stories from his personal experiences in class and the students have fun times listening and learning life lessons along the way. Please accept our sincere thanks for guiding Rex over these 2 years. I can't thank you enough and Rex and I will miss you. Wishing you all the best in your next endeavours. Take care Eugene. The best Teachers teach from the heart not from the book. My amath grades would not be made possible without the help of Ms Liew. Having joined RMSS in early September , she was only given a shocking timeline of 2 weeks to help me prepare for my end of year amath exam. After telling her how I had grades as Low as a F9, she did not give up on me, but instead took on a challenge on coaching me. Of course, my hard work and focus also played a role in helping me achieve good grades. With Ms Liew patience and guidance, I made a shocking improvement fr F9 to A2 within a span of 2 weeks! Thank you for the constant guidance, encouragement and support as well as being really patient in explaining to me how to solve questions I don’t understand. I really appreciate your step-by-step explanations of difficult concepts and how you do your best to help us learn and improve. I remember when I first came to your class I was really anxious and worried about my maths because I have just filled my mid-year exams and I really couldn’t understand a thing in school but thanks to your patient guidance and methodical approach as well as letting me stay behind to watch the videos and catch up on the topics that I was week at (pretty much everything to be honest). Slowly I began to understand the topics I was initially confused about. Slowly I began to realise that the questions were to do-able and regained my confidence in maths. Soon my results progress to B3 and subsequently an A1. Thank you, Mr Ng, I couldn’t help achieve it without you. Its been 2 years plus since Benedict started English with Florence. 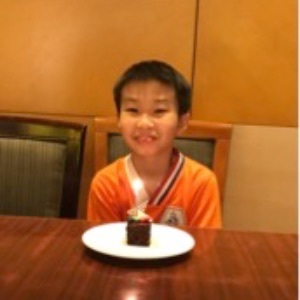 His grades improves gradually and contained in the 80% range . His foundation is strong particularly on Grammar despite the fact that he hardly reads. This would not have been possible without the tutulege of Florence. Whenever there are areas which I would like Ben to focus, Florence makes time and listens and would prepare him for it. I am glad I made the right choice to send him to Florence instead of previous where he had 1to1 personal tuition which was not structured. I would not hesitate to recommend students who need help on English to approach Florence. As a matter of fact, I would still have Ben to continue with his English tuition with Florence in RMSS. Over the past 4 years, lessons with Mr Quek were extremely detailed but yet easy to understand. Mr Quek has a very clear understanding of the concepts and exam skills required and his patience in explaining them made physics really approachable. Most importantly, I am extremely grateful for the effort Mr Quek puts into explaining the theory behind certain problems or concepts that is not commonly taught in school. This has allowed me to be better prepared for whatever examinations throw at me and has broadened my appreciation for physics. Overall, my experience with Mr Quek these 4 years has allowed me to gain so much more than I would have imagined and I really appreciate Mr Quek's kind guidance. Throughout the three years where I was under Mr Lim's tutelage, I've seen the same exceptional qualities being displayed in every lesson, dedication, patience and kindness. 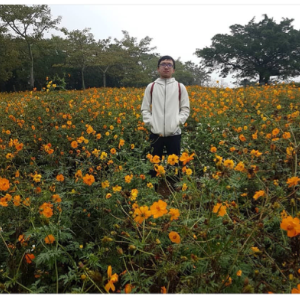 He exemplifies what it means to be a teacher in its truest sense, preparing his students not only for their upcoming exams, but also for the future, and the struggles that come with it. Every lesson is interesting and at the end of it, Mr Lim never fails to encourage us to keep pressing on and to never be content with our current standards. Despite how bad a student may seem, or how lazy someone was, you never gave up on them and very lost hope. For that, we thank you. Thank you for going above and beyond to help us achieve our fullest potential, for showing us care and concern that goes above what is required of a teacher. Thank you for being a true educator, one who educates the heart as much as the mind, and last but certainly not least, thank you for being the best tutor one could ever ask for:) Your lessons will never be forgotten. I joined Mr Lee’s class in Sec 2 and my ability in math has truly been improved. I believe that having confidence is a huge prerequisite of scoring well in math and attending classes in RMSS has given me all the reassurance I need. Mr Lee teaches topics in a straightforward, effective and easily comprehensible manner. He ensures that the whole class fully understands a concept before progressing to the next through peer presentations and checking of our work. 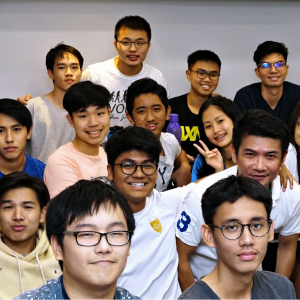 Before I joined, it was hard for me to be in tandem with my class in school for certain topics but Mr Lee makes sure that everyone moves at a common pace, which is really important in building a strong foundation for higher standards of math in the future. I never had a doubt that wasn’t clarified in RMSS. 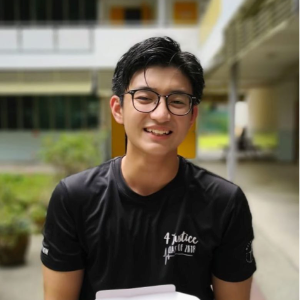 Mr Lee also ensures consistent progress through maintaining discipline in the class which was daunting to me at first but I realised that it was vital. So I joined Mr Tan's class in 2017 just before end of year exams were starting around September maybe. At that point of time I was getting straight F9s for amath in school and I did not have any passion for amath as I had a hard time comprehending my teacher and everything was just not working out. After joining the class, I had to basically learn amath from scratch and I knew I had to do well for it as I needed it for my O levels. 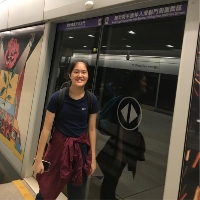 However, I joined when the class was already doing practice papers so Mr Tan asked me to come back for extra lessons in order to help me cope. So I came on Mondays,Tuesdays and Saturdays for I would say about 3 hours a day for a period of time just to allow me to catch up. It was a hard time, the long hours and fatigue got to me on some days but Mr Tan was always there to push me. It has been about a year now and I have made so much progress thanks to Mr Tan. From a F9 in sec 3 to a C6 in sec 4, mid year exams and now an A1 for prelims. Honestly, Mr Tan has been a great help, although he may be strict but its for the better good. Without Mr Tan I would probably still be struggling for amath. I would just like to thanks Mr Tan for being understandable, caring and of course, spending his time, energy, everything just to help me improve and understand the concepts, you are a great teacher and I am blessed to have you as my teacher." I only joined RMSS in 2017 last year because I felt that my chemistry subject was a lost cause. 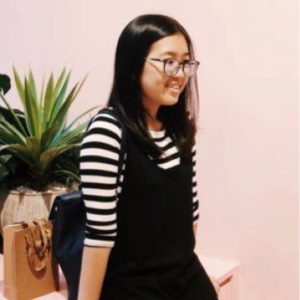 When I was first introduced to Ms Lim, I could easily recognise her as being an excellent teacher, capable to teaching her students in a captivating way to bring more life to chemistry. Even then, I was always a bit skeptical that even though I felt I was learning so much during my time in RMSS, that I would see a significant improvement in my chemistry grades. However, I was proven wrong. Thanks to Ms Lim, I not only moved from a C6 to an A1 in chemistry, but I’ve been able to maintain this standard from 2017 till today. Thanks to Ms Lim, I’m the top boy in my class for chemistry! 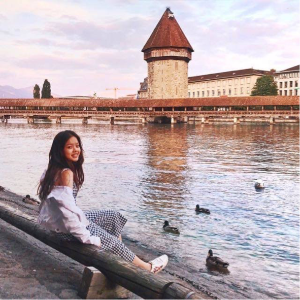 Moreover, Ms Lim shines in more ways than just her teaching style. 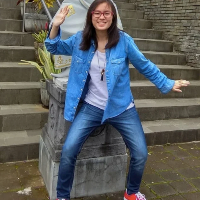 Equipped with a gregarious personality, Ms Lim always injects laughter and joy into every class, be it relating to her students in ways no other teacher can, or making silly chemistry- related jokes to liven up what many would see as a dry subject. Ms Lim is also very understanding to her students and has never failed to treat us with kindness and respect, even though we may not deserve it sometimes. 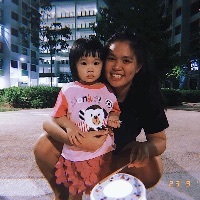 Ms Lim is also very motivational and an all around inspiring woman who continues to put her heart and soul into every class and most importantly, every student. A strong and independent that has not only taught me many many chemical concepts, but many life lessons that I can take away after my time in RMSS. Ms Lim is truly one of the most inspirational Teachers I’ve ever had in my life and I wish her the best in all her future endeavours. I remembered joining Mr Tham's at Secondary 3. At that time my Science was really bad and I hated it a lot. But thanks to Mr Tham, my opinion of it has changed and I feel that Science isn't that bad after all. My grades also jumped from F9 to a C6 within a few months, and then improved to a B3. Mr Tham always encourages me to do better and continue to work hard towards better grades. He also encourages me that no matter how undesirable one's grades is, it is still reversible as long one works hard. He also encourages me to come for extra lesson to clear any doubts. Furthermore, he also teaches me super creative and fun methods to remember certain science concepts which are really effective. I am really grateful to be taught by Mr Tham. Thank you, Mr Tham, for your help and moral support for these 2 years! Mr Tham is probably the greatest teacher to have ever taught me Physics. His style of teaching is the reason why I am still motivated in learning the subject. Being a student of his for my entire Lower Secondary education, he was the teacher who he sparked my interest for Physics. He always has the tendency to use weird and unusual methods to help us memorise the content easily, which is really helpful. He makes Physics lessons really fun too. The only reason why I made it to Pure Science in Upper Sec, is mainly due to Mr Tham. Before joining RMSS, I was always struggling with my Science. However, ever since I joined Mr Tham’s class, my Science had improved tremendously. Still remembering the day before my Sec 2 end of year exam, I would bug Mr Tham to help me go through the entire textbook. Even though it was troublesome, he still spent some time after the revision class to go through the topics with me. It was totally worth it as I eventually acquired an A2 and was just 1% behind an A1. For my Sec 3 year, I was shocked that he stopped teaching Physics classes. My grades would then drop and go back to its usual inconsistent self. However, being my most crucial year, Mr Tham started to teach Physics classes again. I immediately swapped to his class as I believed that he will be able to help improve my Physics grades. It certainly did, currently my physics grades is facing a positive trend, scoring better grades after each consecutive major internal school exams. I am really grateful to have been taught by him. 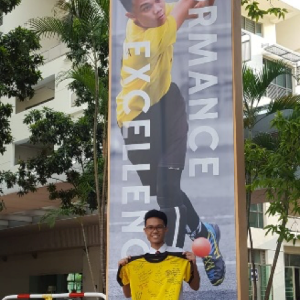 When I first stepped into the class as a young and immature Sec 1 student, my very first thought were "Oh no, yet another fierce teacher..."
Even though Mr Phua has very high expectations for his students, I know that it is all for the good of us. 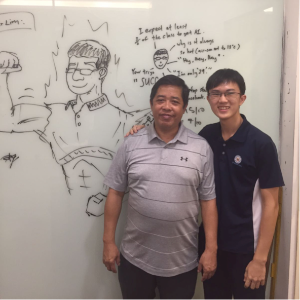 After almost 3 years of attending his tuition classes, I realised he is actually a committed and dedicated teacher who is willing to go the extra mile to help us excel in our math. Without a doubt, my math has improved significantly from a B4 in Sec 1 to A1 and so has the class on an overall. Thus, I am really thankful for that. In addition to his hard work and dedication, Mr Phua is also a really good teacher! He is able to implement effective techniques in helping us improve our math, such as teaching us simple ways to remember formulas and the special angle table. One example of his extra policy is the 12am homework. It is unique to his classes only, and this technique is able to better help us complete our math homework in time before 2359 and also drill us sufficiently so that we would always be on our toes. 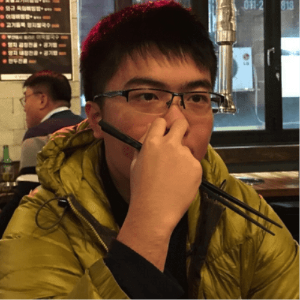 In addition, he would also spend time out of work hours to check our answers and also send us his answers to the questions, so that we can refer to them to check our work. All of this was done out of the good will of him and I respect him for that. All in all, I would really like to take this opportunity to thank him for his constant help and guidance in helping the class improve their math. Thank you so much Mr Phua for your tutorage all these years. I would never have been able to achieve such results if not for your help!